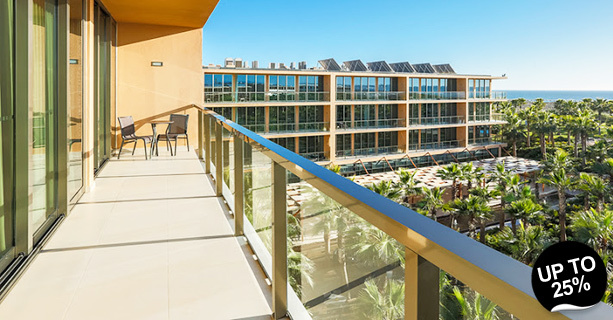 NAU Hotels Flash Sales: Have you booked the very best golf deals for yourself yet? You haven’t? Take a look at the latest discounts of Nau Hotels & Resort with their three superb courses, each presenting its own unique challenges. Discounts up to 25% for all year, several options from Self-Catering to All-Inclusive and free golf transfers included. 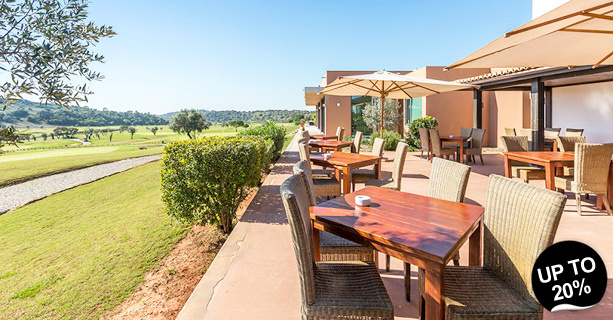 Álamos Golf Course, is a beautiful par 71 golf course located between Portimão and Monchique, and definitely one of the most enjoyable golf courses in the Algarve for your holidays . This 18 hole golf course provides a very pleasant game of golf, combined with a nice, relaxing scenic experience. Álamos golf course, offers wide, hilly greens, with quite the wavy fairway, it is surrounded by a nice forest, filled with the local flora, orchids and even a vineyard! You often see flocks of storks return to their nests before the sunset. They offer a panoply of green fees and Tee Times to suit any player. 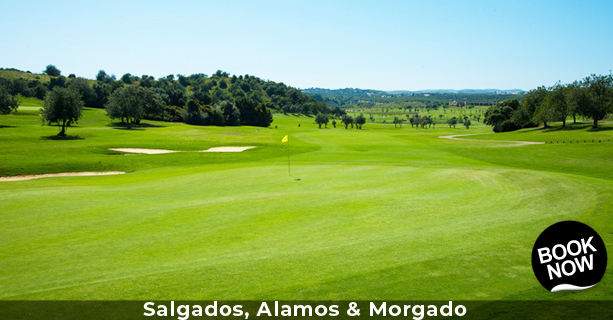 Salgados Golf Course, is a course for nature lovers, located at Herdade dos Salgados, close to Albufeira. Next to Salgados Beach and Salgados Lagoon Nature Reserve, linking the dunes to the sea. This course offers golfers a unique experience with impressive views over the ocean. We recommend walking over the green, as it is simple, beautiful and almost always flat. This is a very technical course, more cerebral than physical. Due to the wind, its changes, this course is never the same. Here, almost all the holes are flanked by lagoons and one (number 6) is considered one of the most difficult of the world, as it has a lot of water and is very long. Holes 7, 8 and 15 are among the loveliest of the course (and region!). For golf enthusiasts, playing in the yellow tees is a delightful experience. Morgado Golf Course, home of the new Portuguese Open Championship, part of the Europeen Tour is a stunning par 73 golf course located on the foots of Algarve Monchique mountains, surrounded by nature, farming fields, in the typical of the Algarvian Barrocal, ensconced between the hilly interior and the coast. With 18 holes, this is a more open and easier course, with the features of a links course – with flat fairways and bunkers of Scottish inspiration – but, instead of being along the seaside as the traditional links, it’s placed inside parkland. The card presents a par of 73 strokes, although the length of the round is attenuated by the generous width of the fairways. However, the less accomplished strokes can be penalised by any one of the many bunkers distributed over the course. While playin at any of these courses, you will be immersed in a calm and serene Algarve, meeting the inner soul of this region that has so much to offer.